A Gellings Floral arrangement makes any day special You'll see how easy it is to shop for floral gifts as distinctive as the people receiving them. Who could you surprise with fresh flowers today? Send flowers or a plant to celebrate a special occasion like the birth of a new baby, a birthday or an anniversary, or to say "Congratulations!" Holiday Flowers: We also have the perfect flower arrangements for all holidays, see our collections for: Valentine's Day, Easter, Mother's Day, Father's Day, 4th of July, Thanksgiving and Christmas. 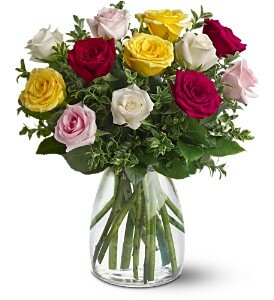 Flowers by Sentiment: Convey your sentiments by sending flowers to say "Thank You", or "Get Well". In times of sorrow, send your heartfelt condolences with a flower bouquet or a plant from our sympathy flower collection.